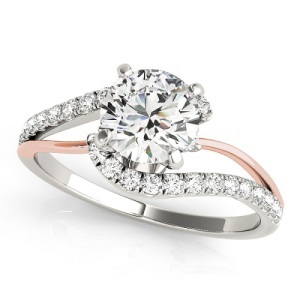 Split band engagement rings are romantic, feminine, flattering and symbolic. 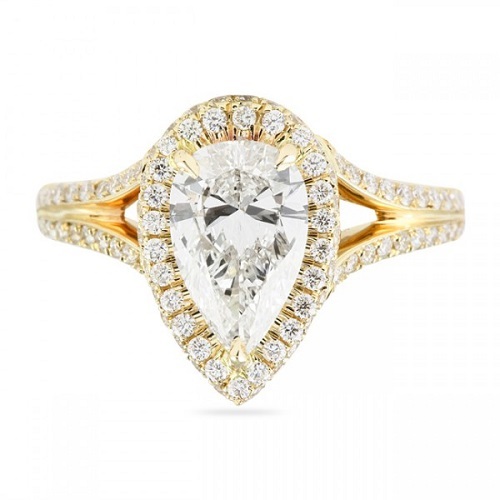 The message behind this ring style is said to symbolise the relationship that you have. While you are two separate souls, each with your own lives and goals, you join together as one when you are wed.
With a wide range of styles available with split shank design, you can keep this ring as subtle or bold as you choose. To help you find some inspiration, we have put together some of our favourite examples of stunning split band engagement rings. Ideal for brides who want something a little bit different, the one sided split shank ring adds plenty of visual interest in a more subtly unique way. This style works especially well with micro pave stones, which can be placed on the split band part or the single band part. Whichever stones and metals you choose, this ring is sure to sparkle! A twisted split band adds lots of visual interest to this ring, which has a cross cross style that works well with single metal, two tone metals, pave, and plain. This ring is not designed for those who prefer something subtle however – the nature of the ring means that it is big, bold and eye-catching. Two tone rings are always beautiful. That does not mean that you have to go for something bold and over the top. Delicate, fine bands balanced in soft metals such as platinum and rose gold are perfectly balanced in the split band design, with tiny pave stones adding extra sparkle. This would also work well with yellow gold. This style can be as understated or bold as you choose. 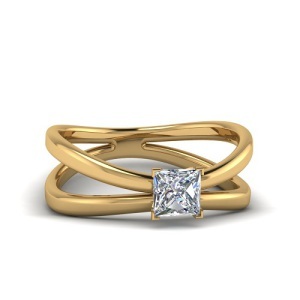 A plain, unadorned band keeps the look minimal, with the double split adding its own visual interest in a subtle way. 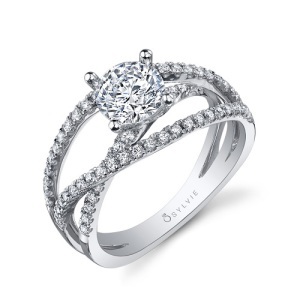 You could however add pave stones to one or more of the split bands, or you could try a two tone ring in this style. Pear cut rings are a timeless choice for any bride, but those who are looking for a ring that is unique will especially love this cut. 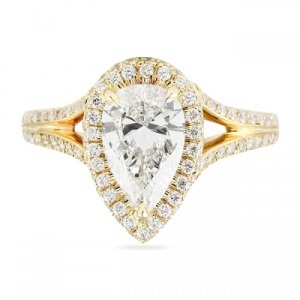 The glamorous tear drop shape of this stone works well with a split shank, adding balance in a way that elongates the finger and emphasises the tiny pave stones on the shank and the halo. 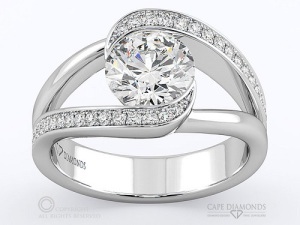 If you are more of a classic type of girl, with a feminine, romantic streak, you will adore this stunning round pave split shank ring from Cape Diamonds. 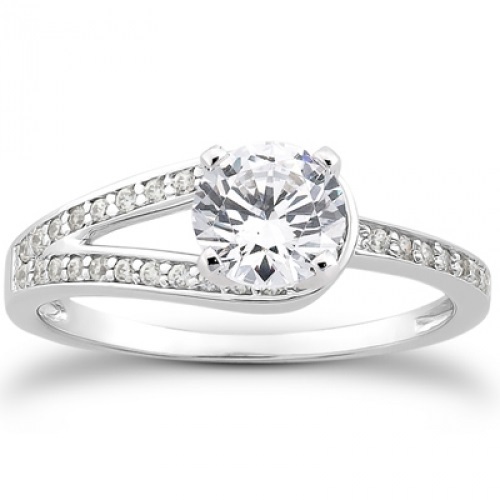 Made in platinum with dazzling diamonds adding maximum sparkle, this ring is truly spectacular. Contact Cape Diamonds today with any queries you may about having your very own ring custom designed. Or, you can browse our collection of split band engagement rings to see what we have in store.